How do I stop a registration code from being used? Archiving a registration code will stop a registrant from applying the discount to their registration. 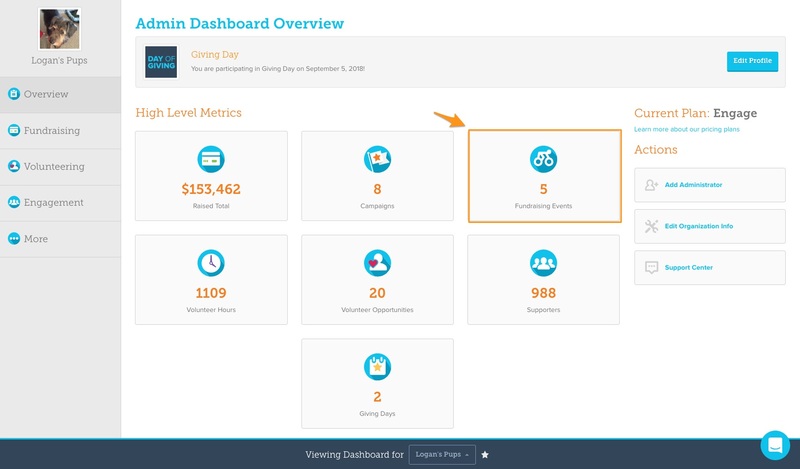 Step 1: Navigate to Your Admin Dashboard. Click the “You” in the top right corner and click the “Admin Dashboard” link for your organization. If you are an admin of more than one organization make sure you select the one with the event you want to work on. Select the "Fundraising Event" button in your Admin Dashboard. Once in the Event section of your Admin Dashboard, select the "Edit" button beneath the Event you'd like to edit, and you'll be directed to your Event Editor. 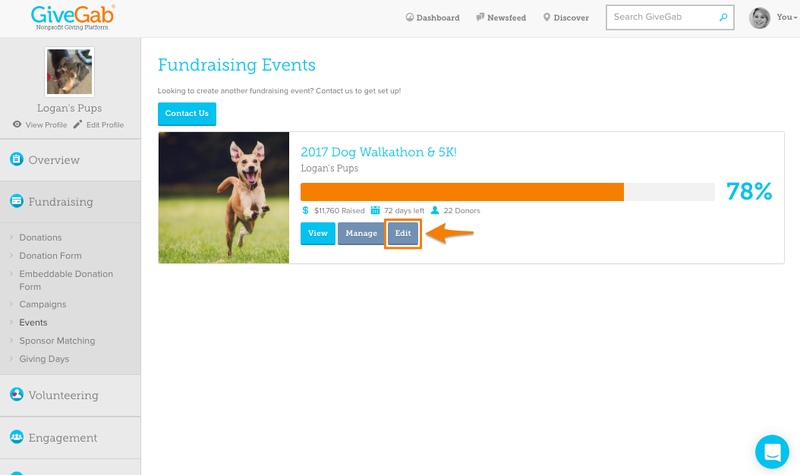 Step 3: Click the "Event Fundraising" option. Within your Event editor, click on the "Event Fundraising" tab on the left. 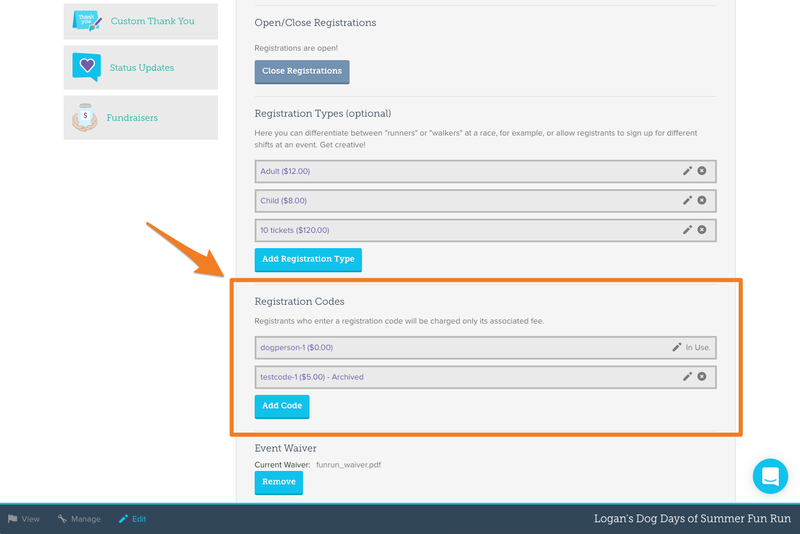 Step 4: Scroll down to section labeled "Registration Codes"
Here you will find displayed all of the registration codes on file for your event. Click the "Pencil Icon" next to the registration code you wish to archive. Within the registration code you are editing, check the "Archived" box to archive the registration code. Then, click "Save".